provides a measure of the impact of the principle on the coherence of modern family law by assessing the significance of its present operational role and functions. 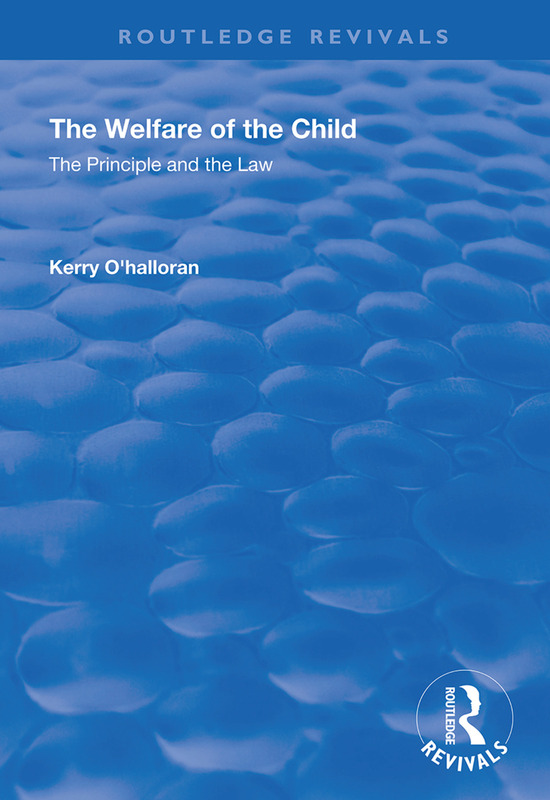 The welfare principle began as a common law principle forged in medieval England, yet it has informed the law relating to children in some of the most developed western societies. It is now being refracted through international legislative and judicial developments to challenge the future shape of family law in the UK. By considering the ways in which the legal system has shaped and been shaped by the principle, this invaluable book leads its readers to an appreciation of the content and structural influence of the welfare principle.